The Baggies entertain Watford at the Hawthorns on Saturday looking to score their first goal against the Hornets in the Premier League, and with Tony Pulis facing a selection dilemma. Last season was the first time that the two clubs have been in the Premier League at the same time, and there was only one goal in the two matches scored by former Baggie, Ben Watson, for the visitors at the Hawthorns in April after Heurelho Gomes saved two penalties. 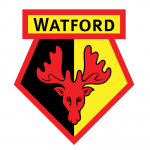 However, that is Watford’s only league win over Albion in the last 16 meetings since a penalty by Craig Ramage was enough for the Hornets to take the points away from the Hawthorns in February 1995. Albion’s recent upturn in form was a stunted a little with the draw at Hull last weekend, a game that they were expected to win. It was similar to the visit to Sunderland back in October, a game in which they dominated the first half but failed to finish off their opponents. However, the feeling at the Hawthorns remains optimistic and the upcoming fixtures at the Hawthorns should reinforce that. Between now and the visit of Arsenal in mid-March, Albion’s eight home fixtures feature only two clubs above them in the table, Saturday’s opponents, Watford and Manchester United on the Saturday before Christmas, and all of the current bottom four. They face some tough away trips in that period, including Arsenal, Spurs and Chelsea, but if Albion can kick off a good run of form at home, they could be well placed for that top ten finish that has eluded Tony Pulis so far. Watford’s form has been a little erratic of late. They sit one place and one point ahead of the Baggies after winning two and losing two of their last four games. Home wins over Hull and Leicester alternating with a 6-1 hammering at Anfield and a disappointing home defeat to Stoke City last time out. The Hornets haven’t won away from Vicarage Road since September, but it remains Watford’s best start to a top flight campaign since they were flying high under Graham Taylor in the 1980s. Allan Nyom will be facing his old club having moved from Vicarage Road to the Hawthorns in the summer. Since his debut for the Baggies, he also made another switch, from right back to left back, and has looked comfortable there in recent games as Pulis continues to look for a long term solution for both full backs. While goalkeeper, defence and the holding two in midfield likely to remain unchanged, Pulis has decisions to make for Albion’s front four. Rondón has been suffering with suspected tonsillitis this week, but the news emanating from the club suggest that he should be OK to play, with Hal Robson-Kanu in the wings waiting for his first start since joining Albion on Transfer Deadline Day. Matt Phillips’ recent form seems to have secured him a spot on the right, and Brunt and Morrison have been making up the other two places behind Rondón. However, James McClean will be keen to regain his position from Brunt but the big decision will be the number ten role with Nacer Chadli, Albion’s most influential player in the first couple of months of the season, now fully fit and raring to go. If Chadli is to come back into the starting line-up, it seems likely to be at the expense of Morrison unless Pulis decides to shuffle the midfield even more and leave out of the two holding players. That is more likely to be considered should Albion need to chase the game at some point, but with Morrison having played so well in recent weeks and Chadli having been the top man before his injury, it is a difficult choice for the Welshman, but exactly the sort of dilemma that any manager would wish for. It seems doubtful that Pulis will be able to get the visitors “drunk on possession” as he did when Burnley were in town a couple of weeks ago. In fact, unlike Albion (or Burnley until their visit to the Hawthorns), Watford have had a majority of possession in a match this season, twice in fact, against Burnley (which they lost) and Hull (which they won). I do expect Pulis to follow the same tactics by allowing Watford the ball and looking to catch them on the break. If the front six can form as they did against Burnley and Leicester, that should be good enough for Albion to get all three points.